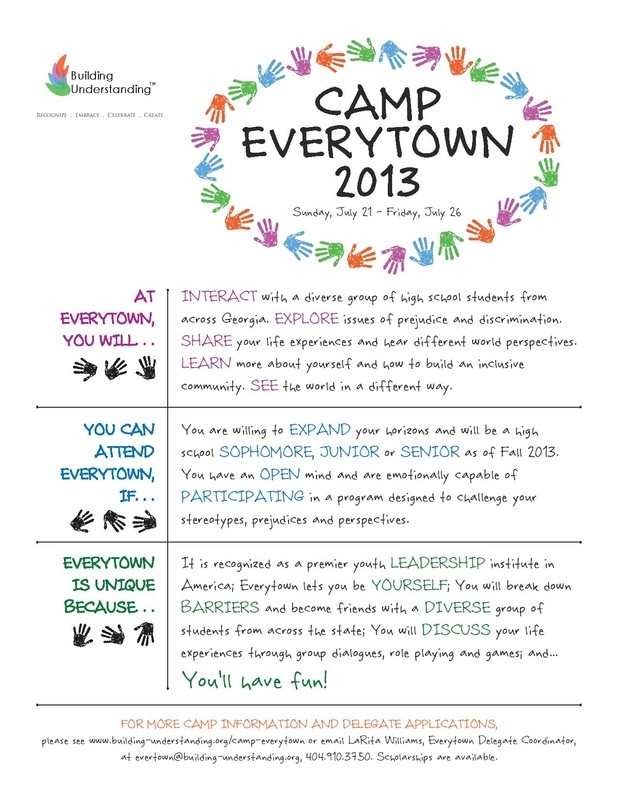 Overview: Camp Everytown is an intensive six-day, five-night residential leadership-development experience that develops rising high school juniors and seniors into change agents for building more understanding communities. Everytown intentionally brings together delegates from varied socio-economic, religious, and racial backgrounds for face-to-face explorations of the issues that unite and divide our society. Camp Everytown is based on respect, acceptance, and responsibility—core values that promote connected, compassionate communities.